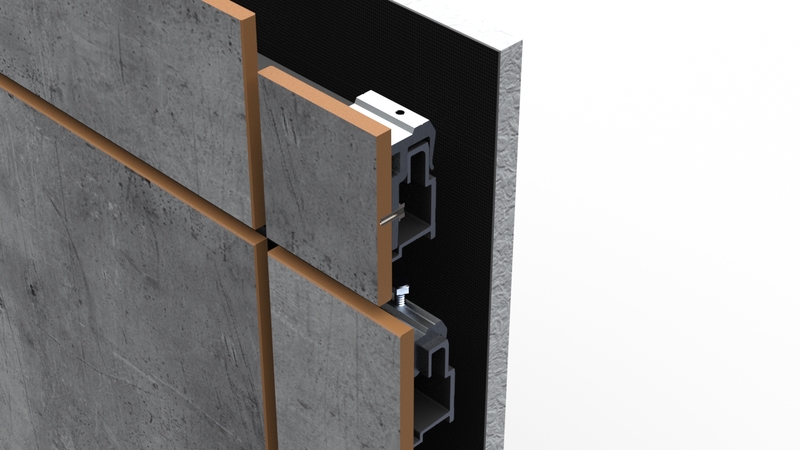 When considering a project using high-pressure laminates or phenolic composite material, Sobotec chooses to use FunderMax®. FunderMax® is a leading worldwide manufacturer of high-pressure laminates (HPL). It is also one of the most versatile products with numerous interior and exterior applications. Extremely durable, FunderMax® has various surface options include matte, satin, high-gloss, authentic wood grain, texture hexagon and more. With its endless design and creative custom graphic possibilities, this product allows you to add character to any building. The FSL-100 is a Drained and Back Ventilated Rainscreen system. 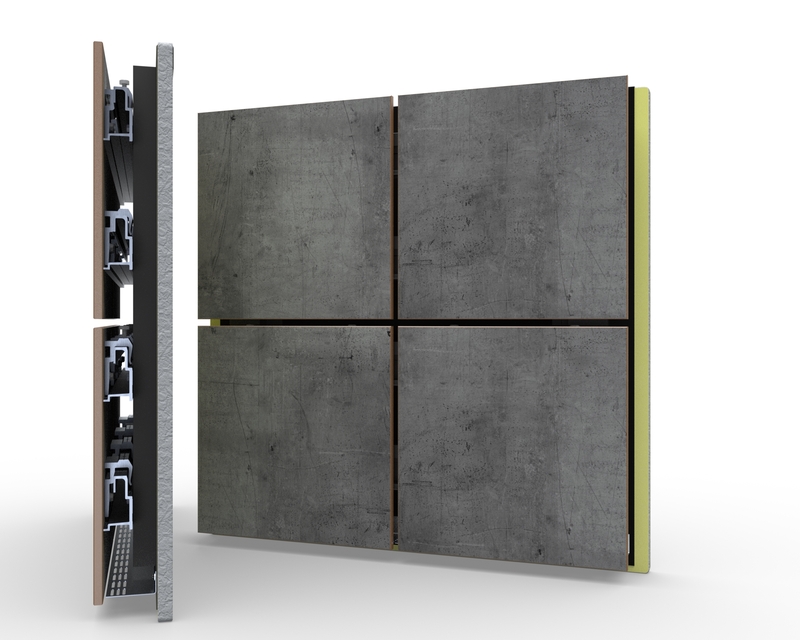 This system allows for high-pressure laminate (HPL) / phenolic panels to be easily installed in a wide variety of panel sizes and patterns. 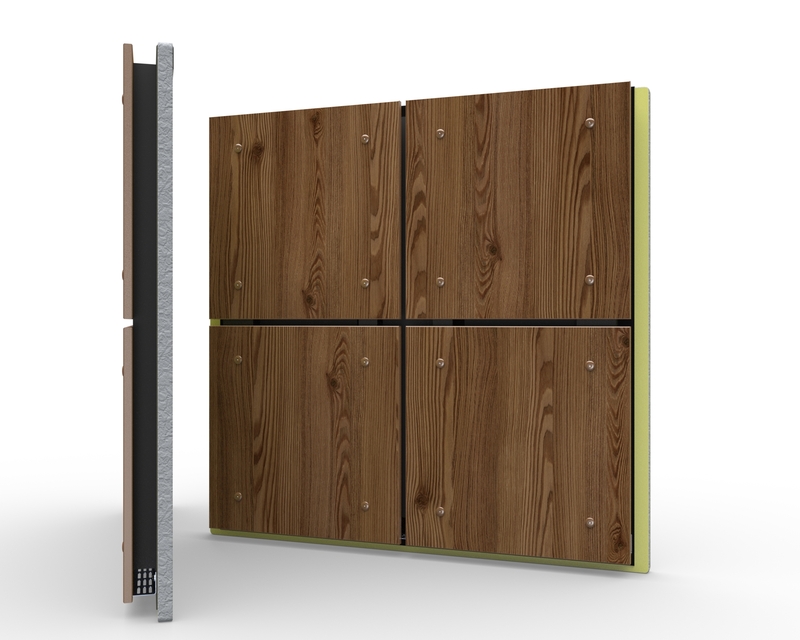 HPL panels have a recommended minimum thickness of 5/16" (8mm) and may be fixed onto an aluminum sub-frame using stainless-steel mill-finish or powder coated screws which are available in a wide range of colors. With both interior and exterior applications, HPL panel systems offer large sizes and custom graphic design options as well. 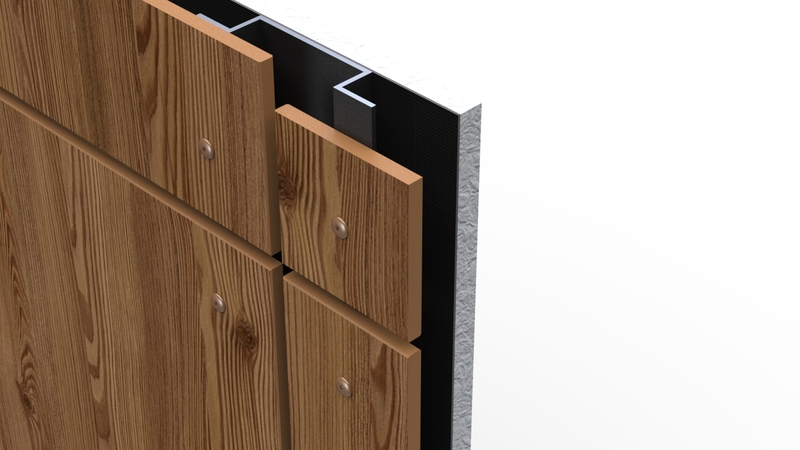 The FSL-200 system offers a great deal of flexibility when installing high-pressure laminate (HPL) / phenolic panels. The use of adjustable brackets allows for precise joints and an optimal façade grid to create unique projects that truly leave a lasting impression. This HPL system has a recommended minimum thickness of 3/8" (10mm) and may be fixed invisibly on a metal sub-frame comprised of horizontal rails and hanging aluminum brackets fixed to the back of the panel. This system is also a Drained and Back Ventilated Rainscreen System. *For Gloss panels, a minimum thickness of 1/2" is required.